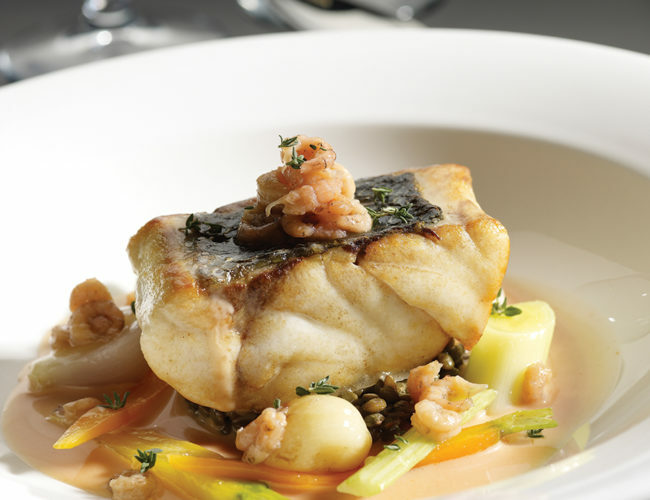 The Chine Hotel’s Gallery Brasserie presents a delicious menu to start or finish the perfect day. 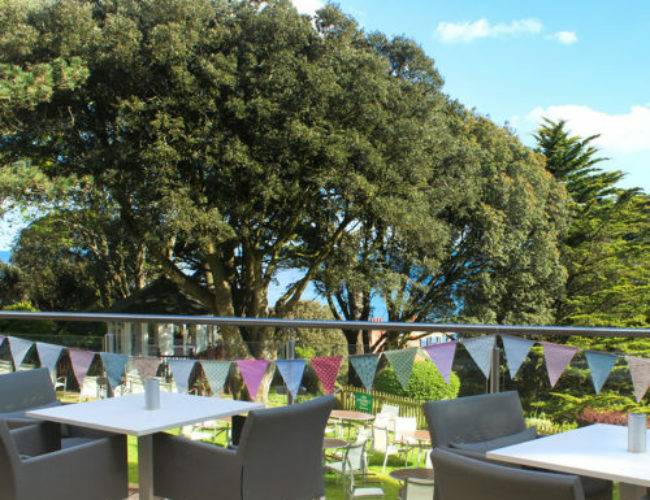 The restaurant enjoys views over the tree tops and out to sea. 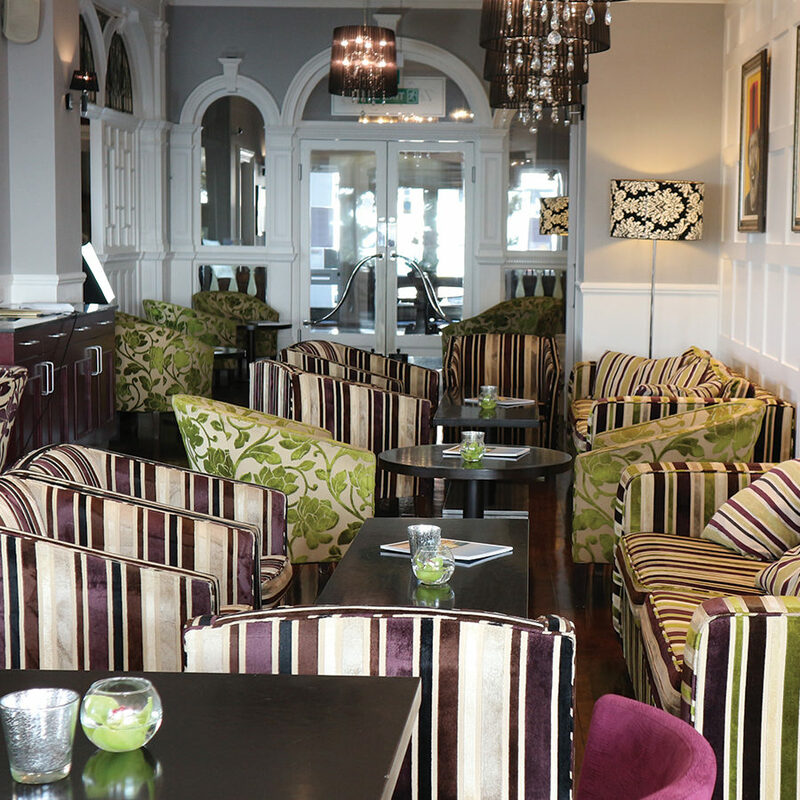 Gaze out at the view from every table and enjoy a warm and welcoming atmosphere, friendly service and fantastic food. 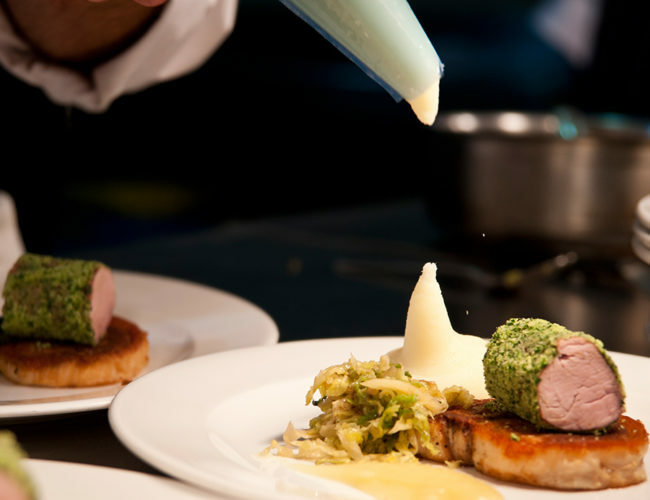 Head Chef Simon Braz, prepares uncomplicated dishes with fresh and seasonal produce in a modern style. Breakfast and dinner is served in The Gallery Brasserie. 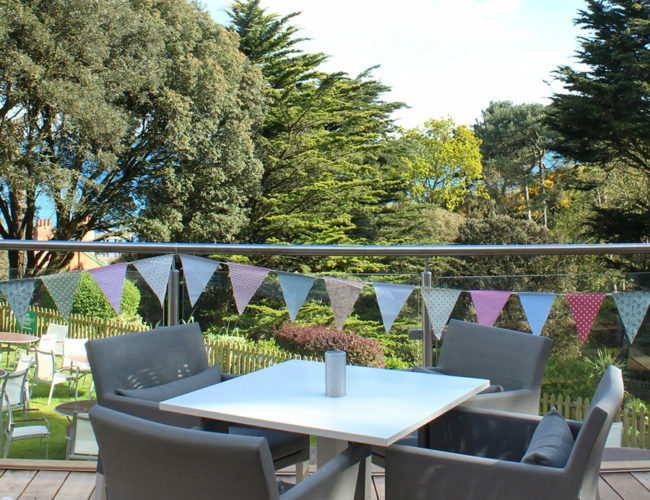 Informal and family friendly brasserie with stylish comfy seating plus stunning garden and sea views. Offering delicious cocktails, fine wines, premium spirits, non-alcoholic drinks and speciality coffees/teas all served by our welcoming team. Throughout the day we also offer a wide selection of snacks and light bites to suit every palette and feature locally sourced ingredients. The Gallery Bar is open daily. 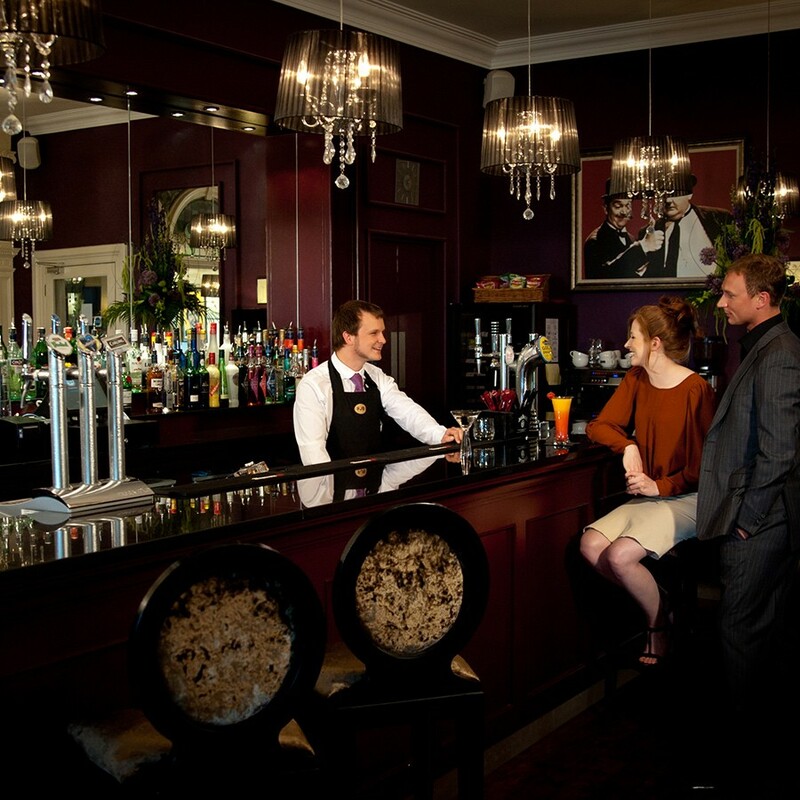 Residents and non-residents always welcome at The Gallery Bar. 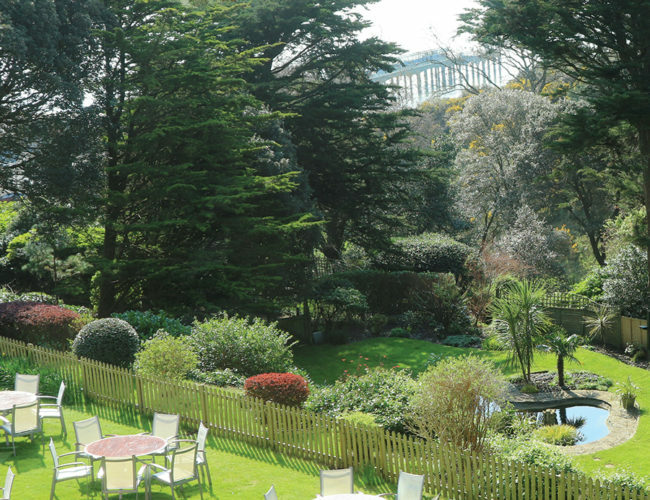 The Chine Hotel’s stunning landscaped gardens are one of the hotel’s most popular features – peaceful and secluded; an open-air space just moments away from the beach. During the Summer months, we extend our seating out onto the decked terrace and lawns for the ultimate in alfresco dining. 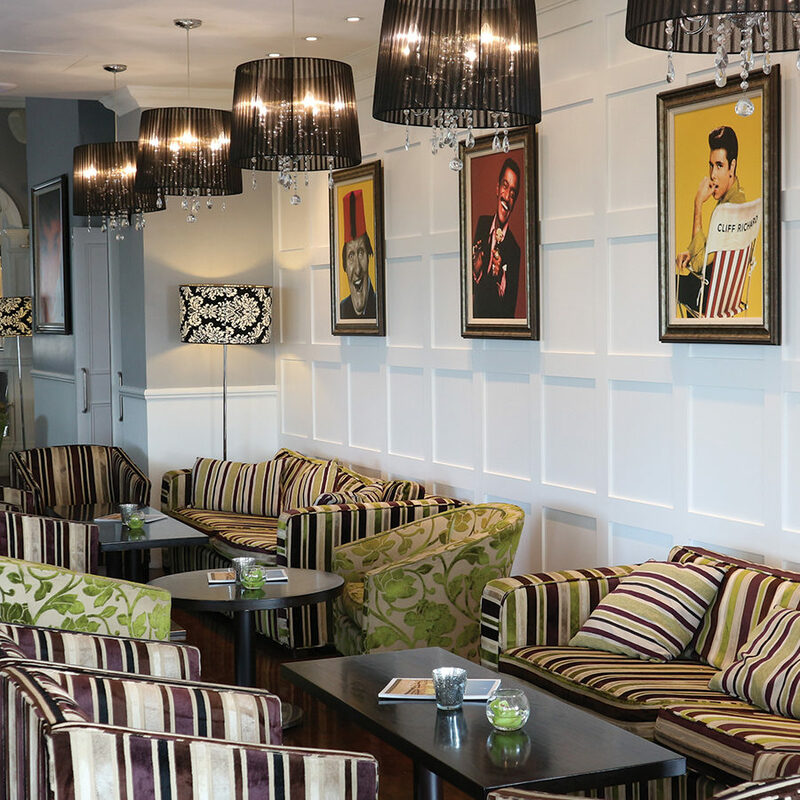 Choose from the ‘Bar & Light Bites’ menu offering light bites, lunches and afternoon tea. The Decked Terrace is open daily weather permitting. Residents and non-residents always welcome. 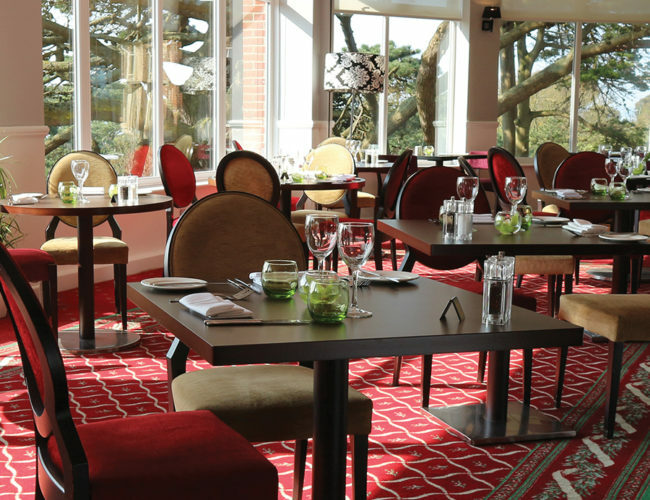 As the sun sets along Bournemouth’s shoreline, The Gallery Brasserie provides a welcome retreat to enjoy delicious food with relaxing sea views. 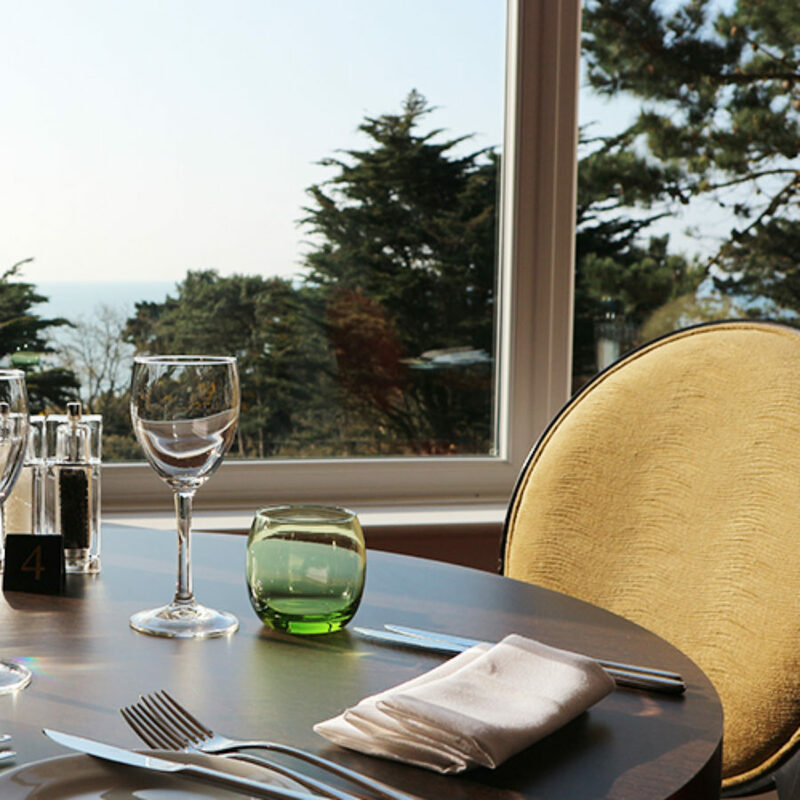 Tall glass windows allow diners to soak up the sea and garden views while enjoying fresh, seasonal cuisine and fine wines. Explore our uncomplicated European menu offering a selection of mouth-watering dishes carefully created by our talented Head Chef, Simon Braz. 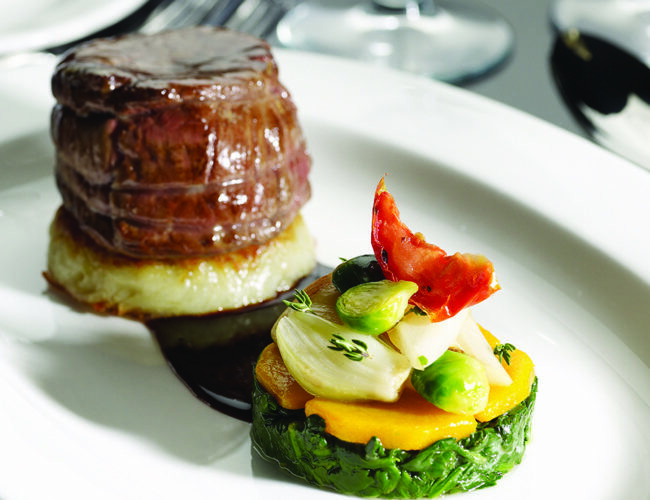 Dinner is served daily in The Gallery Brasserie. 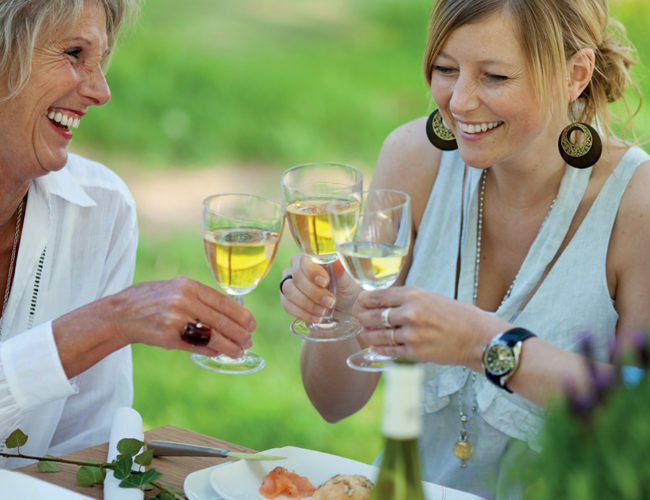 Residents and non-residents always welcome at The Gallery Brasserie. Set yourself up for a day of building sandcastles and exploring the South Coast with The Gallery Brasserie’s excellent buffet breakfast. 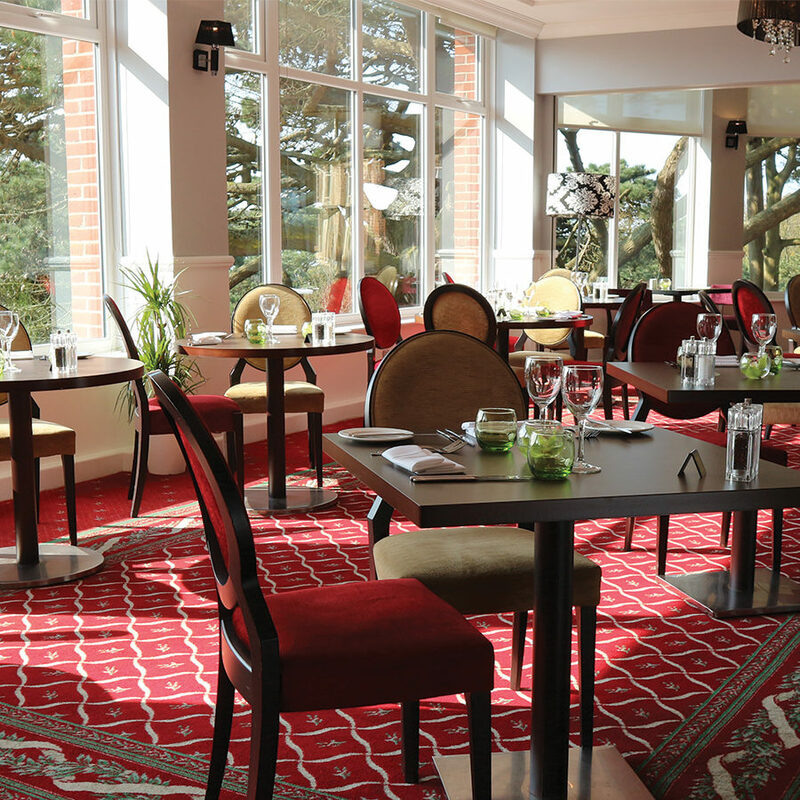 Bursting with freshly prepared favourites as you overlook the hotel’s beautiful gardens. 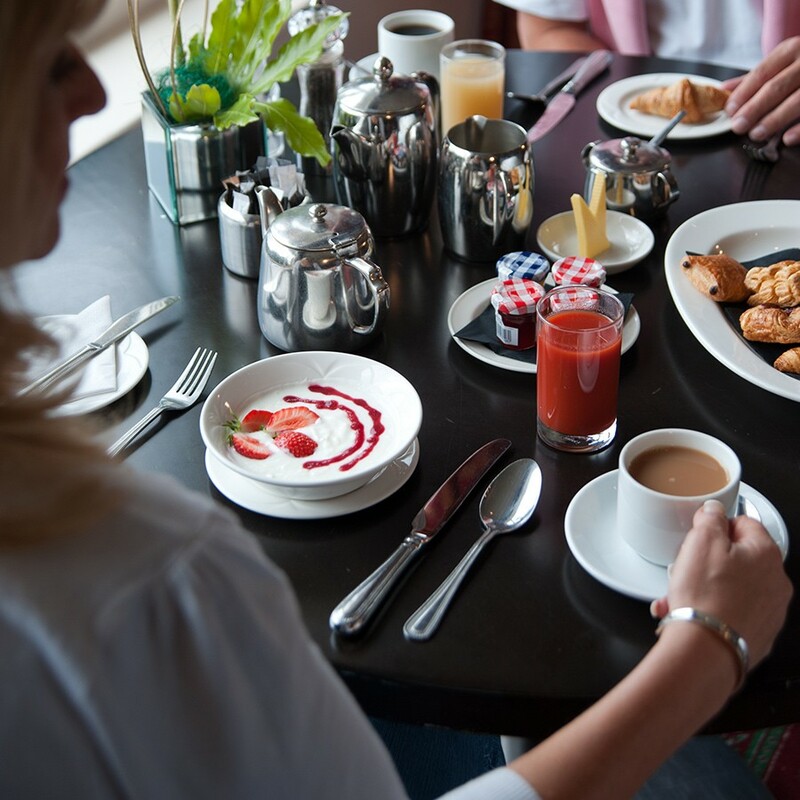 Breakfast is served daily in The Gallery Brasserie. Staff were very friendly and we experienced great service. We also dined in the hotel restaurant and we had never tasted such beautiful food it was divine…Would definitely recommend for a short romantic getaway! The breakfast was excellent, really good choice of food. We have booked to stay again this July and can't wait! The staff here make your stay a joy, it has a very nice restaurant, a decent bar where you can relax and read the papers. The service in the restaurant was very efficient and the food was lovely. The views from the restaurant were great and looked out on to the sea. The food is amazing. The flavours and excellent quality of the ingredients in all 3 courses were fabulous! And such great value for what I would say, is fine dining indeed.